Ever wonder how all these new faces are meshing in practice? 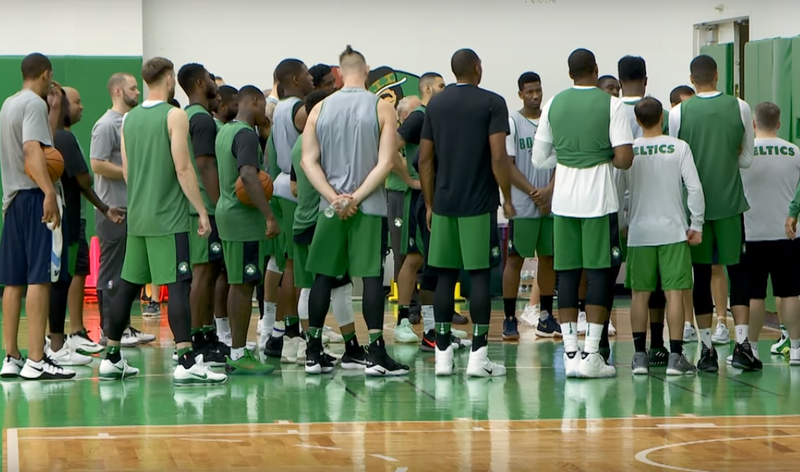 Well, here's your chance to get a look at Kyrie Irving, Gordon Hayward, Aron Baynes and a lot of other new arrivals getting into it in Waltham for an exclusive look into a Boston Celtics' preseason practice. I don't know about you all, but I'm pretty happy to see Kyrie taking a clear leadership role, even if it looks like Hayward would prefer if he took it down a notch for a second.